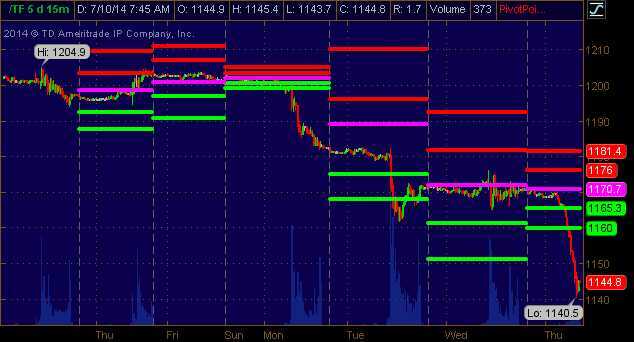 Technical Tuesday – Rejected, Rejected, Rejected! So much for 2,000 holding. Fortunately, our Big Chart kept us cautiously bearish into the weekend and the hedges in our Short-Term Portfolio functioned perfectly, gaining $13,000 on the day and completely offsetting the drop of $8,000 in our Long-Term Portfolio. That's without our big hedge, DXD, kicking in yet, as the Dow is still over 17,000 but, should it fail, we'll see those STP gains multiply quickly. 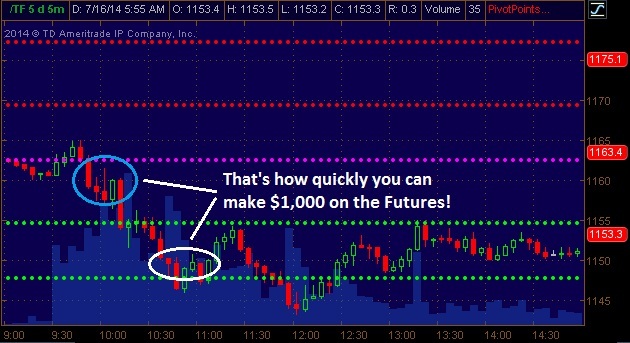 Futures pumped back up to yesterday's highs at 17,125, 2,001.50, 4,080 and 1,156.5 so I like shorting below 17,100, 2,000, 4,075 and 1,155 – short the laggard, out of any of them cross back over – very simple! That's our plan into the weekend. As I've mentioned before, we're also using DXD ($24 at the time), TZA ($14.68) and SQQQ ($35.26) to hedge our long portfolios – just in case things unravel over the weekend. We also discussed FXI ($40.30) puts earlier in the week as a play on China melting down so PLENTY of ways to profit from the downside. This morning, the Futures are 17,050 on /YM (up $375 per contract), 1,979 on /ES (up $1,125 per contract), 4,035 on /NQ (up $900 per contract) and 1,116.50 on /TF (up $4,000 per contract) – so that strategy went pretty well. Oh my God, it's dip! The Futures are off a bit today and that's no surprise to those of us who have been paying attention to the volume, or lack thereof, as we made our final approach at the 2,000 line on the S&P 500. Jim Cramer was literally foaming at the mouth this week as he and his CNBC co-conspirators herded the sheeple into the markets to participate in the tail end of the rally, where the suckers could hold the bags for their Corporate Masters. Why am I angry at Cramer today? Because yesterday he committed the same crime he commtted in 2008 that cost so many people their life's savings – he told people not to sell their stocks on a pullback. "Don't take profits" is the message for the viewing public. But, I would ask, if people don't take profits – when will they ever get profits? What kind of stupid message is that? Well, it's the message that leaves you holding the bag while his hedge fund buddies head for the exits. It's not much different than telling one group of people not to leave a burning building while you make sure all your friends are getting out safely. "This is not just my opinion. I can prove it to you empirically. See, as I was preparing to write my book "Get Rich Carefully," I went over the previous five years of trades made by my charitable trust. And as I reviewed those trades I noticed that far too often, my good judgment would be overcome by excessive skepticism." 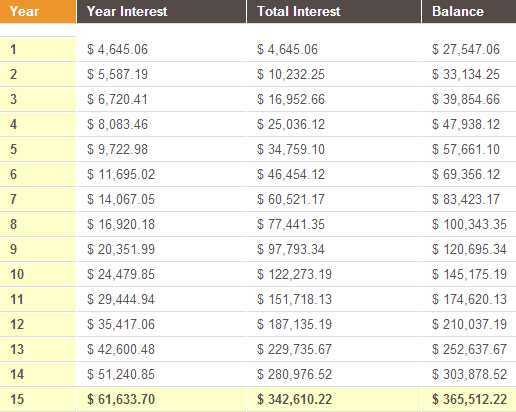 $10,000 Tuesday – One Trade To Make Your Month! How would you like to make $10,000? If the Russell can finish this option period (24 days) 2.5% higher, at 1,178 or higher, we can turn net $1,000 or less cash into $10,000 for you. After all, if the Fed is going to give away money – why shouldn't we get our share? I'll preface this by saying that our Members are already long on Russell Futures at the 1,150 line, as we made that call in our live Member Chat Room (become a Member here) earlier this morning. If the market is going to remain bullet-proof (and missile-proof too, it seems) then the RUT is now the lagging index and we can construct a play to take advantage of it breaking back up by making a play on TNA, the 3x Ultra-Long Russell ETF. Very simply, if we buy the August $72.50 calls for $3.45 and we sell the Aug $76.50 calls for $1.70, we have a net cost of $1.75 on the $4 spread that's $4.64 out of the money (at goal) and that's 6.4% out of the money so, to be safe, we'll need a 2.5% gain on the Russell, from 1,150 to 1,178.75 to make the full $4. 25 contracts at $4 = $10,000 so we can work with that. But what about the cost of the 25 contracts (at $1.70 x 2,500, that's $4,250)? Well, there's a couple of ways to offset that. One way is to sell 25 TNA Aug $65 puts for $1.70 to offset the cost. The danger there is, if the Russell goes down 2.5% (to 1,121) or lower, we'll be assigned 2,500 shares of TNA for $65 ($162,500) – that could be unpleasant. Instead, we can commit to being long TNA at $45 in 2016 by selling just 5 2016 $45 puts for $8, and that raises $4,000 and commits us to owning "just" 500 shares of TNA at $45 per share ($22,500). Now, if you don't want to be bullish on the Russell when TNA is down 37% (Russell 1,006), then why are you long on it at 1,150? 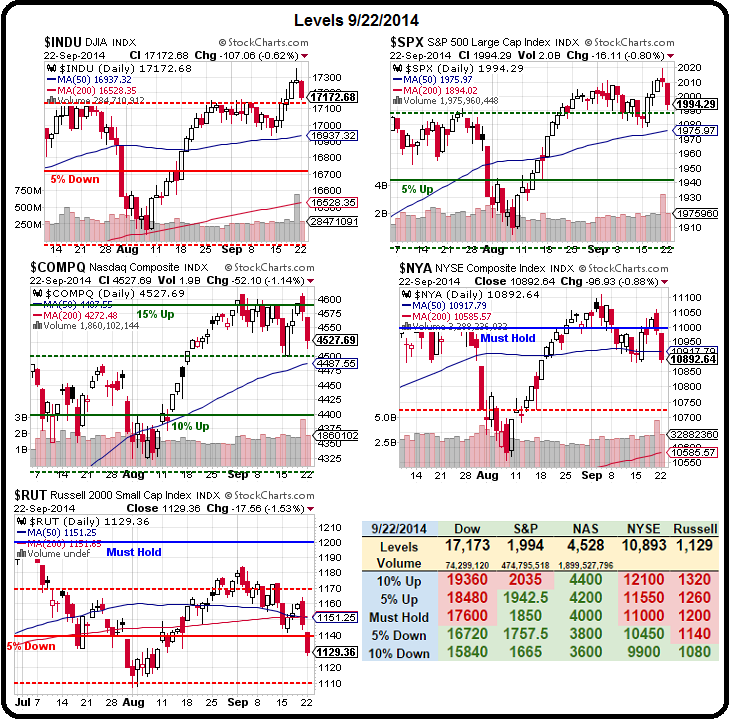 Fall Down Thursday – Buy the Dips? That's how much money yesterday's Alert to Members made as of this morning as the Russell Futures crossed our goal line at 1,150. The alert went out at 9:52 am and we had all day to enter as the Russell drifted along that line until, finally, we got our big drop this morning. 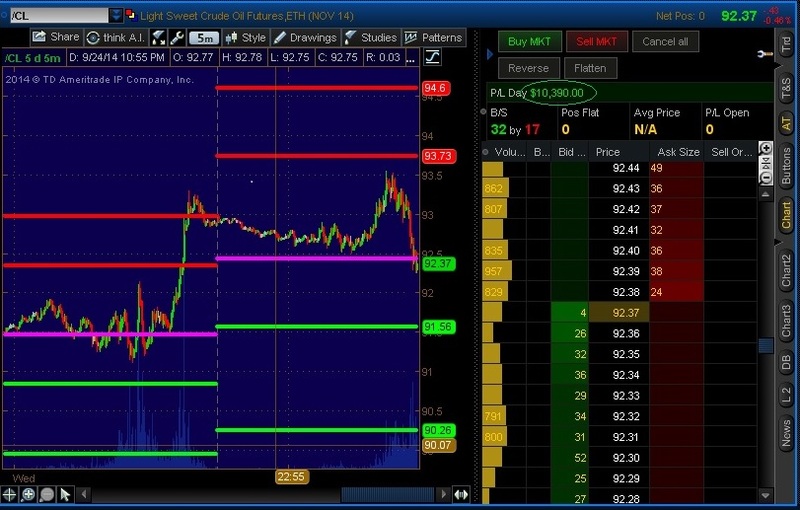 I still like the /TF play below the 1,170 line – that's got $2,000 written all over it (down to 1,150). We actually oveshot that mark with the bottom coming at 1,140, which is our -5% line on the Big Chart, which uses our 5% Rule™ to make these amazingly profitable predictions. Those extra 10 points were ANOTHER $1,000 per contract for those who hung on past our goaaaaalllllll!!! Even if you are a free reader, you got your money's worth – as we gave away, FOR FREE, our TZA Aug $14 calls at .91 on Tuesday's post. 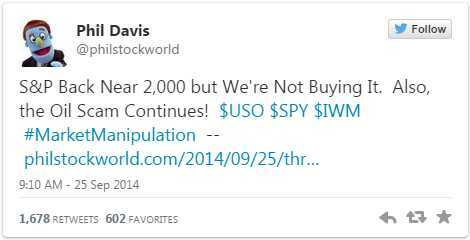 Sure it was 50% after our Members got the trade at .66 on July 3rd, but beggers can't be choosers, right? Still, even if you only began following our hedge at .91, those calls are now $1.50 in the money, so up another 50% this morning for a $1,180 profit on the 20 we suggested in just two days!